In November, California voters will have the opportunity to pass Proposition 3, the largest environmental habitat and water bond in California’s history. Proposition 3 will make significant investments to enhance effective water management for multiple benefits in the Sacramento Valley and throughout California. One of the pathways for this investment is through flood protection projects that provide multiple public benefits, such as enhancing fish and wildlife habitat in addition to protecting public safety. 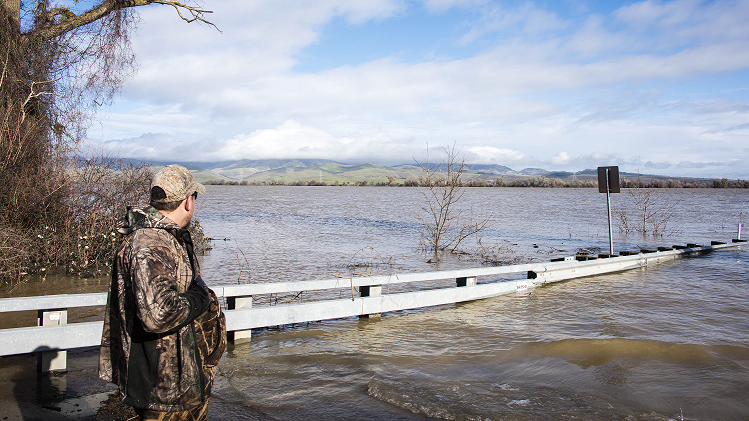 $200 million to the Central Valley Flood Protection Board for the improvement and environmental enhancement of flood control facilities and the enlargement and environmental enhancement of existing floodways and bypasses. To be eligible, projects must provide reduced flood risk, reduced liability, or reduced maintenance responsibility for state agencies or local flood control districts. Preference will be given to multi-benefit projects that are designed to reduce flood risk and enhance fish and wildlife habitat by allowing rivers and floodplains to function more naturally. In addition to the protection of life and property, these projects can create additional public benefits including improved water quality, increased groundwater recharge, and enhanced public recreation opportunities. $100 million to the Department of Water Resources for grants to local agencies on a fifty percent matching basis to repair or re-operate reservoirs that provide flood control. The repair or re-operation must result in increased amounts of water storage that can be put to beneficial use, provide substantial increases in recreational opportunities, and significant net improvements to fish and wildlife habitat. $200 million to the Department of Water Resources for repair and reconstruction of the Oroville Dam spillways. $15 million for Feather River sediment management and removal projects and $6 million dollars for floodwater attenuation projects in the Oroville Wildlife Area. Both of these programs will be administered either directly by, or in coordination with, the Sutter Butte Flood Control Agency. $1 million for a grant to Butte County for projects and equipment for emergency preparedness coordination and equipment. $200 million to the San Francisco Bay Restoration Authority to provide matching grants for purposes including flood management and wetlands restoration projects. In total, Proposition 3 includes $722 million for necessary and beneficial flood protection projects. This investment is complementary to other recent investments in flood protection, including the $500 million included in Proposition 1, the $550 million included in Proposition 68 and the $295 million allocated in the 2018-19 State Budget. Collectively, these amounts represent important steps towards meeting the state’s overall multi-year flood management funding needs, which have been estimated by the Department of Water Resources and the U.S. Army Corps of Engineers to be as high as $52 billion. We urge voters to support Proposition 3 on the November 6 ballot. 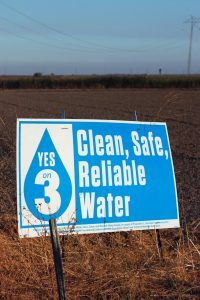 For more information, see “Yes on 3.” NCWA will be offering a series of blogs over the next several months highlighting the important investments in Proposition 3 and how water serves multiple benefits in the Sacramento Valley.